Now what? 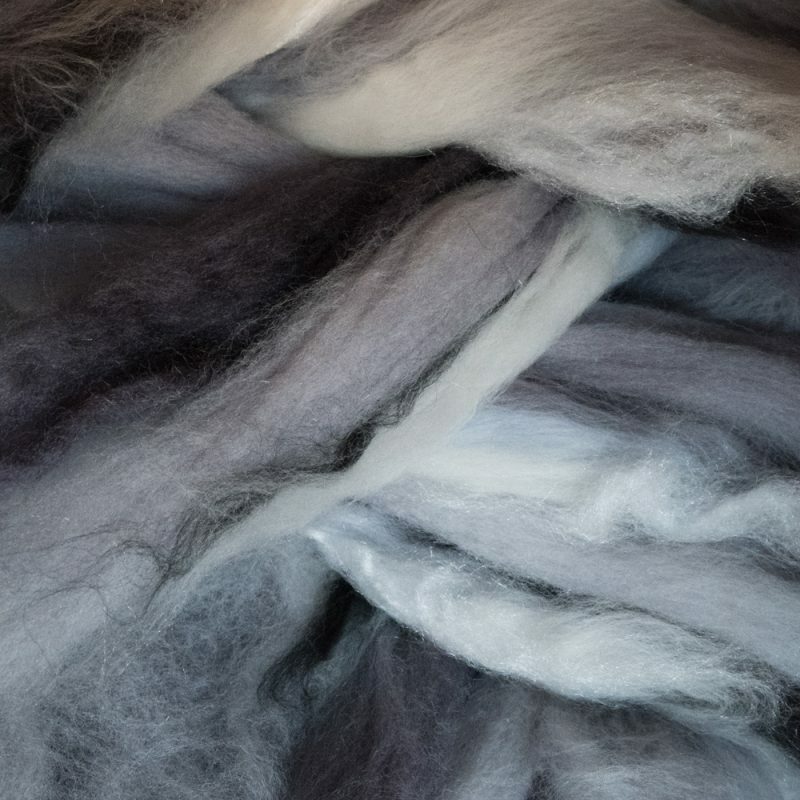 I finished my Tour de Fleece project with almost a week to go… I was in need of a new project, so last Monday I went stash diving and selected some fibres for my next project. It’s probably not a surprise that after my previous, bright and colourful, project, I went for neutral and subdued tones. 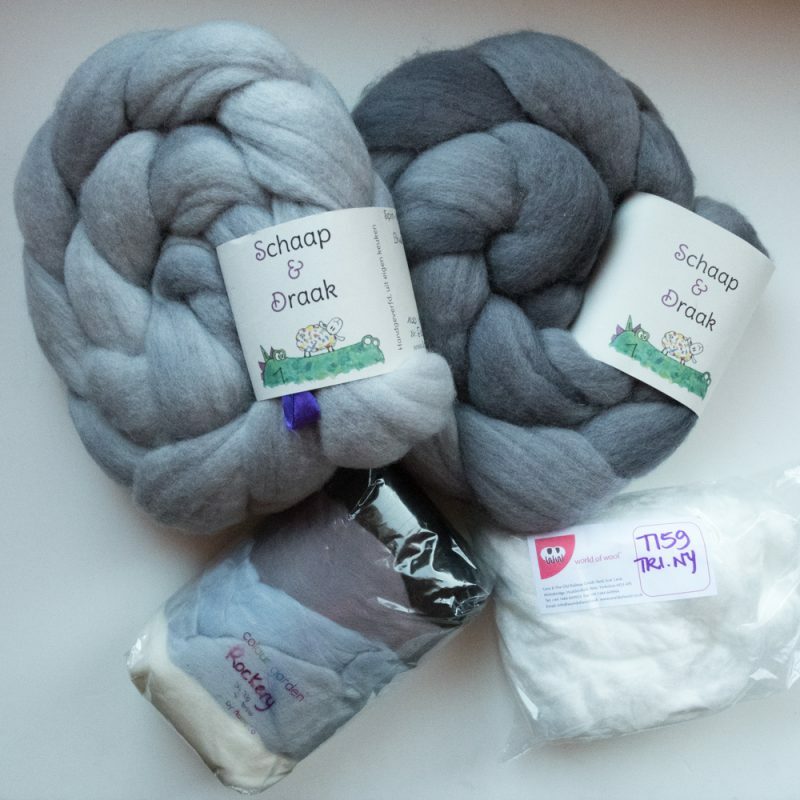 Two soft braids of Schaap & Draak BFL in two tones of silver, a package with five Nunoco samples in stoney colours, and, of course, some trilobal nylon (firestar) to sprinkle on top. 300 grams of fibre is quite much, so I won’t finish this project during the Tour. 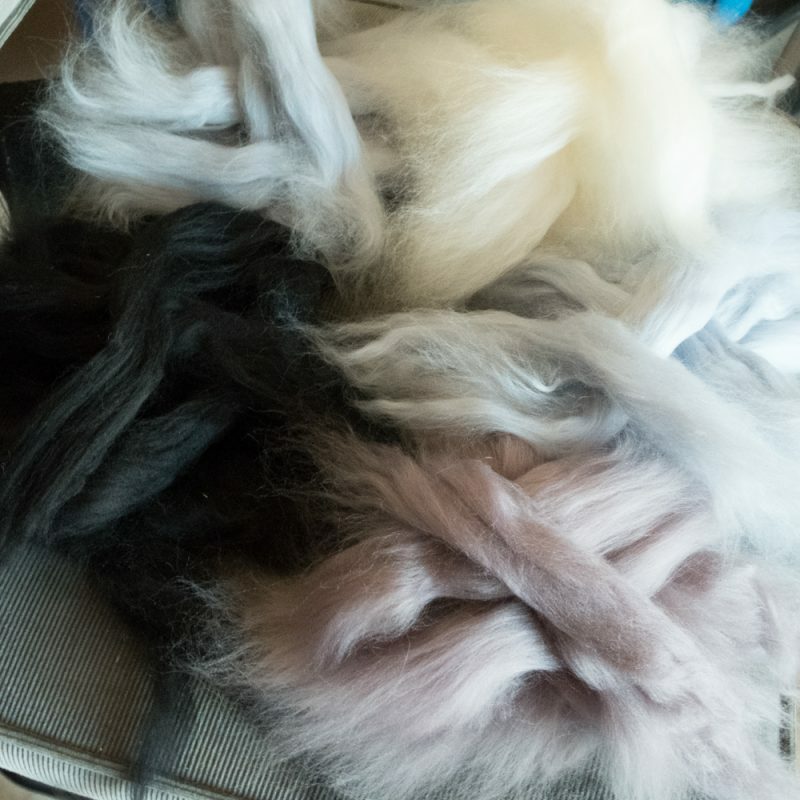 I started by dividing all the fibres into 16 parts, stacking them cross-wise. Then I split every part in three again and combined a bit of each fibre in a little bundle. Stacking cross-wise again, I had 48 bundles in the end. Then I blended each bundle into a rolag on my blending board. It was hard work, those dowels are rough on the hands! But in the end I managed to create 48 rolags! 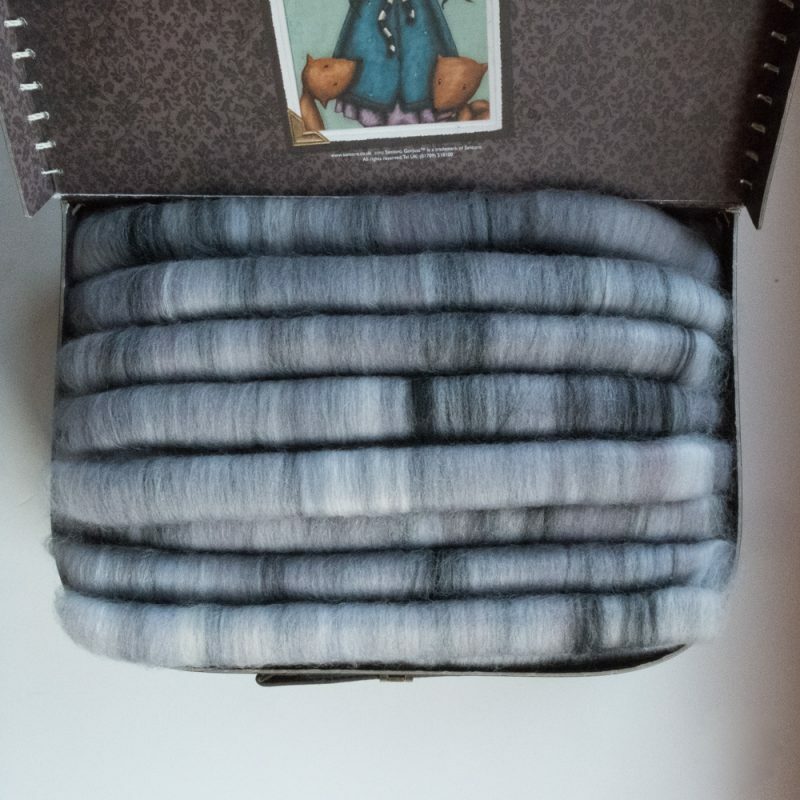 I started spinning them on Tuesday evening, and I’m at the second spindle now. The heat makes it less enticing to do anything except lying on the couch lethargically. Freya agrees, she thinks that this heat wave is way too long and way too hot. So today I bought her her very own cooling pad! I put some paper on top to make it irresistable, which worked, of course. She sat down on it and hasn’t moved away since. I think she likes it! © 2019 Meilindis Creations | WordPress Theme: Cosimo by CrestaProject.